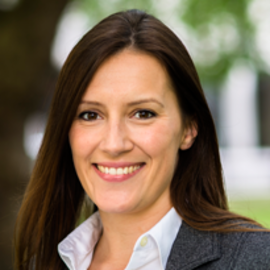 Inga is a VC investor, currently Principal at Touchstone Innovations, sourcing and making investments in novel therapeutics, medtech and digital health. She is Board Director at Puridify and Ieso Digital Health and a Board Observer at Veryan, Oxular, and ApcinteX. Previously she worked in business development and technology transfer at the London Bioscience Innovation Centre/Royal Veterinary College, commercializing research and building industry collaborations. She started her career in scientific research, completing a DPhil/MSc in Neuroscience from the University of Oxford, sponsored by the Wellcome Trust, developing translational models of disease using molecular biology, genetics, electrophysiology, and imaging. Her first degree was Natural Sciences from the University of Cambridge.